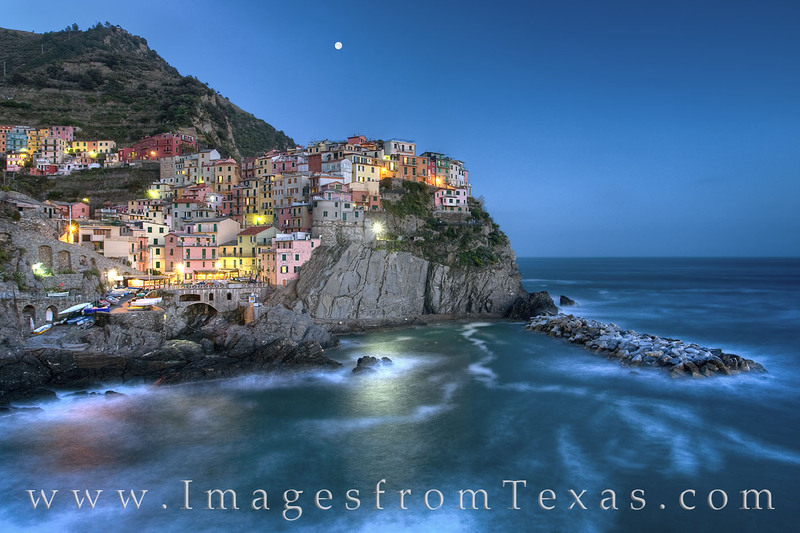 From one of my places in the world, the little village of Manarola in the Cinque Terre of Italy rests as a nearly full moon descends in the southwest sky. This photograph from the Ligurian Coast was taken in two parts. First a long exposure was used to capture the town, the low lights, and ocean. A faster exposure was used to photograph to. moon as it was very bright.